Did You know… Rainier Satellite is busy working daily to expand and bring you more programming content and products. Robert Scharmann President of Rainier Satellite LLC. Many exciting things are happening daily here at Rainier Satellite. Here’s the latest on whats going on. Concerning Programming, we currently have 16 contracts with 16 different programmers ready to launch their channel lineups to the public soon as installation and testing of added equipment needed for these are in place. We are also currently talking with more programmers (including big name sports and entertainment channels) to add their groups of channels to our growing list to be launched later this year. Regarding future products, I would also like to add that Rainier Satellite has been in talks with many product providers lately and will be adding more satellite products to our online webstore very soon. With that exciting news said, I would like to personally invite everyone to take advantage of our NFL 50 Yard Line Sale going on through August 10th. You save $60.00 off the cost of our number one best selling Cisco D9865H HD Subscription Satellite and FTA Receiver in one. What a better way to get your foot in the door with a $60.00 savings. Seeing is believing, our Pure HD technology is the closest thing to being live at the game in your living room. No one can come close to this. The Rainier team and I are very proud to make this technology available to you the consumer today. 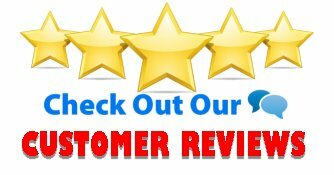 If you ever have any questions or concerns regarding our products or services feel free to call us at 509-486-4137 or e-mail customersupport@rainiersatellite.net for help or more information. 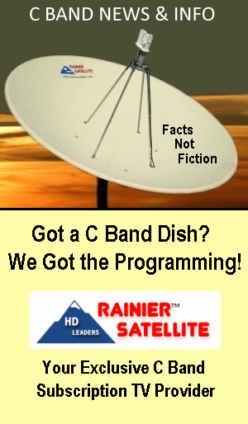 We at Rainier appreciate your continued support for us and the future of C band Satellite Television. 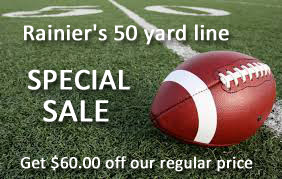 Its almost Football time and Rainier Satellite is celebrating the NFL preseason with a Great Sale! Our D9865H HD Satellite Receiver is on sale with a $60.00 savings till August 10th. 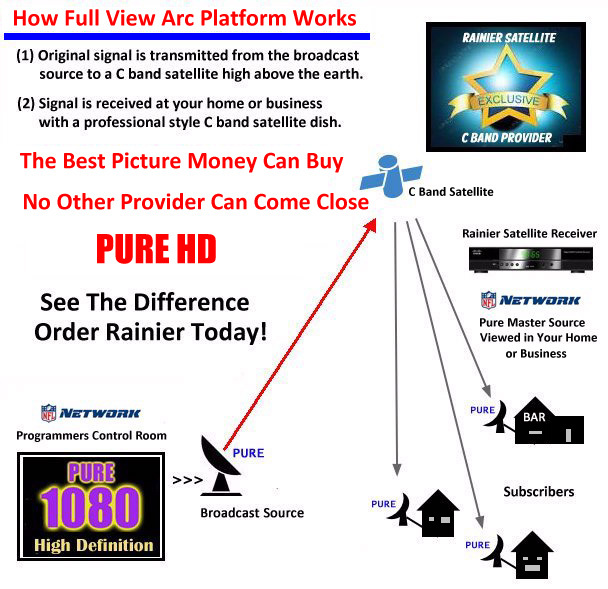 Get the 50 Yard Line coming right into your Living Room Only With Rainier’s True HD System! Do You Have Rainier Satellite Yet? IF NOT YOUR MISSING OUT ! You spent good money on that new HDTV, is it living up to its full potential? Only Rainier Satellite Can bring you TRUE UNCOMPRESSED HD Quality Television Action to your living room. NO ONE ELSE CAN! Period! (little dish) Dish Network, DirecTV, (cable) Comcast, Charter, Brighthouse, Time Warner (all cable providers), (iptv) AT&T, Verizon, Sling, Netflix, Hulu, Google Tv, Roku, Amazon Fire… The list goes on and on… Cannot provide a True HD picture. They use cost cutting measures to choke off your picture and audio quality before it gets to your home. Want to learn more? see below. Posted on July 25, 2015 Author rainiergroupCategories Rainier NewsLeave a comment on Do You Have Rainier Satellite Yet? Football is right around the corner. Are you ready? The NFL preseason action kicksoff on August 9th. Is your HDTV getting the best picture possible? Only Rainier Satellite offers NFL Network in Pure 1080 HD. Its like being live on the 50 yard line. Posted on July 14, 2015 July 16, 2015 Author rainiergroupCategories Rainier NewsLeave a comment on Football is right around the corner. Are you ready? 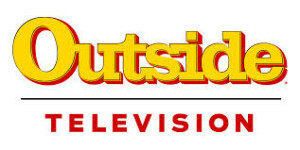 Outside Television HD has ended its FreeView / Preview period. It will now be added to our Lifeline Basic package. It will be available for purchase from Rainier Satellite in the near future. Satellite information and latest news. With the upcoming of more channels being added soon on Rainier Satellite’s service we have been asked by many what satellites do people need to see. Since Rainier Satellite uses master broadcast feeds, multiple satellites are needed to have a good line of sight view. The best answer for this question is this. The major cable birds. 135, 133, 131, 127, 125, 123, 121 & 91 degrees west are must see’s for 99% of content we will provide. But if possible seeing from 139 west to 83 west would insure you’ll never miss anything we can offer. Rainier will be announcing add on and new c band products in the not to distant future. We are continuing to work daily for the enhancement and expansion of c band television. New methods of content encryption will be coming in the future from Rainier also. Our Rainier authorized receivers current and future generations will always be capable of receiving upgrades needed to continue the expansion of new channels and CA changes. New and different conditional access methods will also be implemented to continue channel expansion and bring you the most HD master channels possible in the future. Your current D9865 receiver with its expansion module slot will always be up to the task for upgrades and change. You can feel secure and confident that with Rainier’s authorized receivers that they will work today, tomorrow, and down the road on our services you subscribed to. Posted on July 12, 2015 July 12, 2015 Author rainiergroupCategories Rainier NewsLeave a comment on Satellite information and latest news. Posted on July 6, 2015 Author rainiergroupCategories Rainier NewsLeave a comment on How Rainier Satellite works? Need a Second Remote for your Rainier Receiver ? Limited Stock is now on hand. Get it at the Rainier webstore!